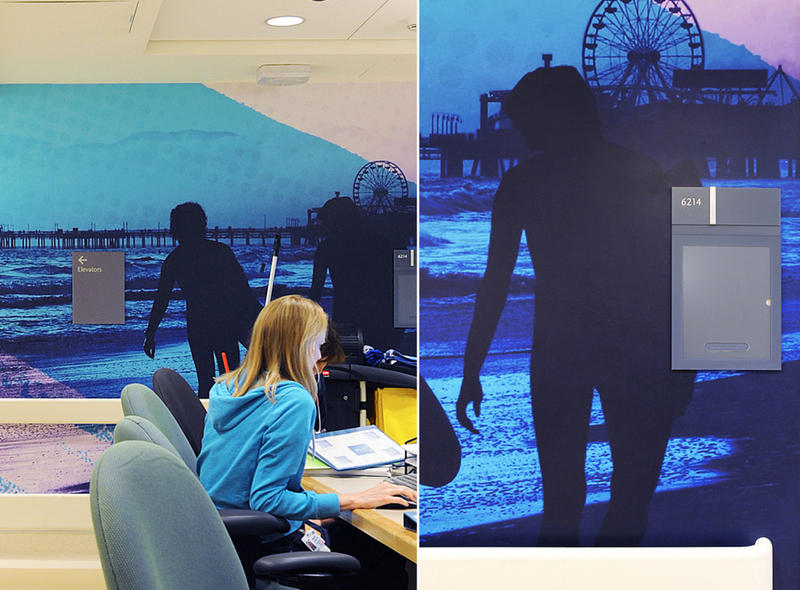 Blik Surface graphics was commissioned to design a series of murals for the UCLA Roger Daltrey Teenage Cancer Clinic. The hospital was a newly constructed, attractive space but color, vibrancy and energy were missing from the clean interiors. 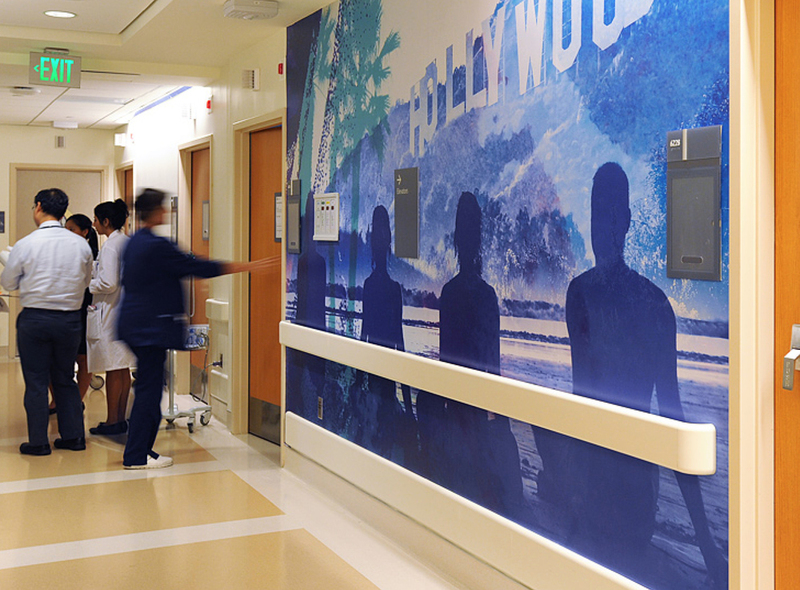 The patients were teenagers, and they wanted something “cool” to look at besides the pristine white walls. 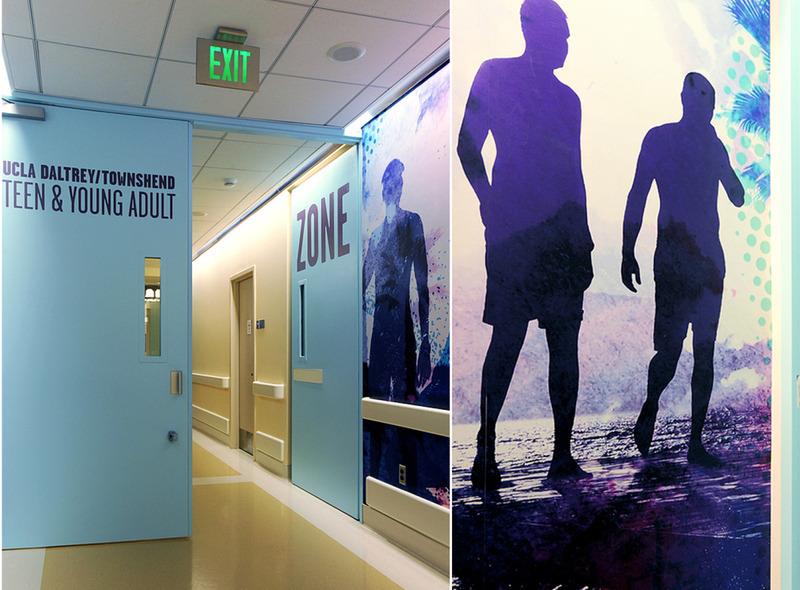 The design story was inspired by the active lifestyle of Santa Monica Beach, showcasing a vibrant Socal surf culture. Influenced by summer days and edgy surf graphics, the images hopefully sparked a positive outlook. 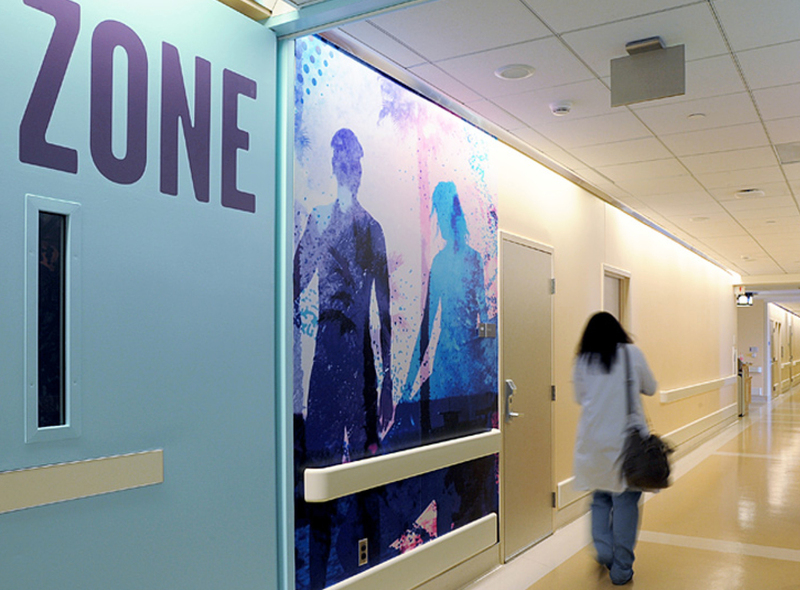 The power of graphic design became evident from the simple solution, a solution where beautiful images try to take patient’s minds away from a difficult diagnosis. What made the process even more powerful was the collaborative discussions we had with the hospital staff, doctors, teenage cancer survivors and healthier current patients. It became obvious what an influence an uplifting environment had on their health and recovery. I was tremendously humbled to be able to work with these patients, getting the opportunity to create something that might help them heal. My role involved Art Direction and Photographic collage artwork. I was responsible for execution and production, as well as print supervision. Project done in collaboration with Blik Surface Graphics.